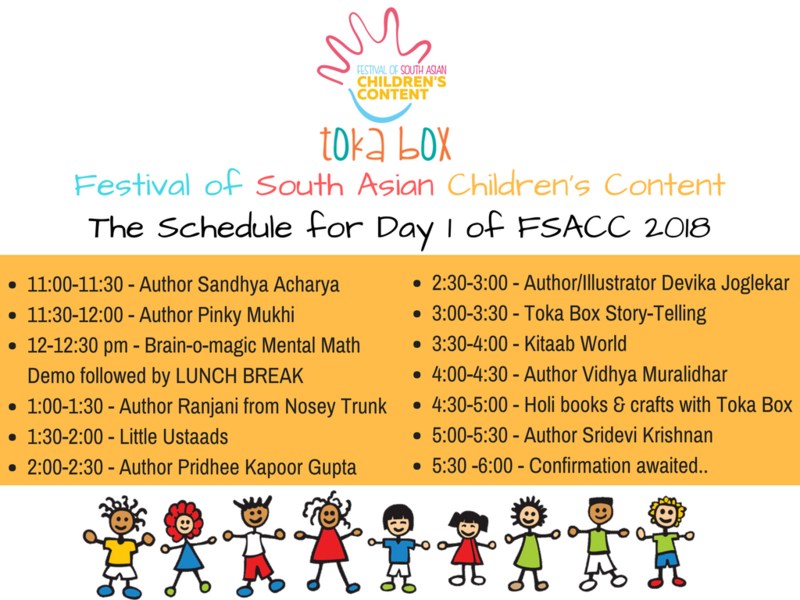 We, at TokaBox, are delighted to share about our upcoming event – Festival of South Asian Children’s Content this February. 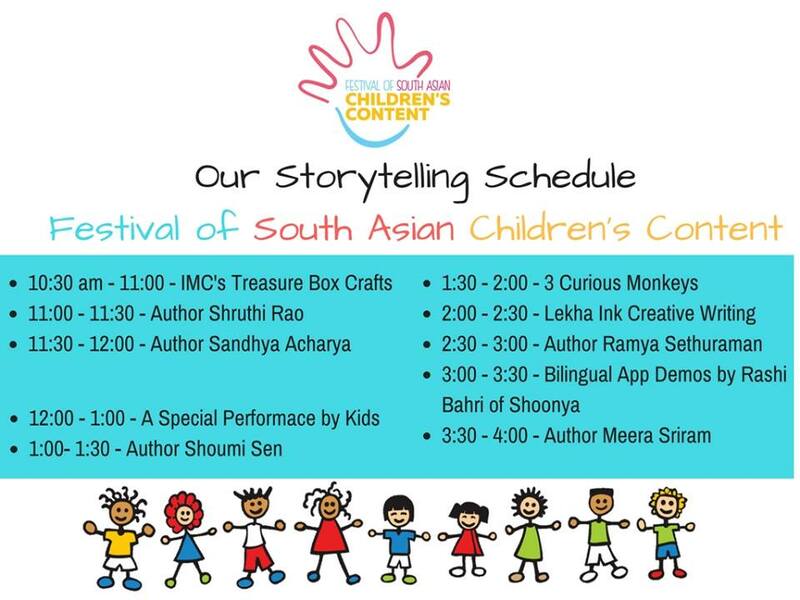 FSACC came into being to support and provide a platform for content creators in the south Asian children’s space to come together. 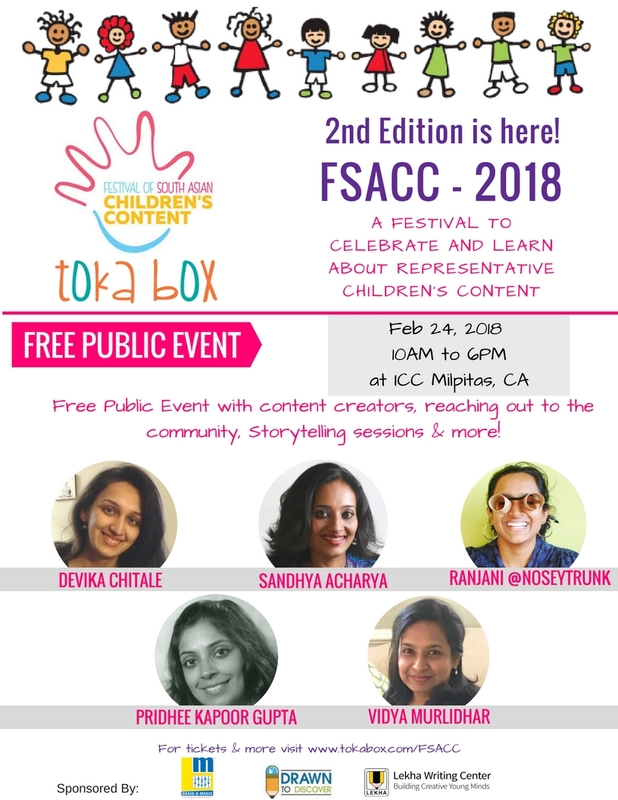 It is a FREE PUBLIC EVENT that provides an ideal way for the content creators to meet their audience, interact with them and raise awareness about the quality content available in this space. 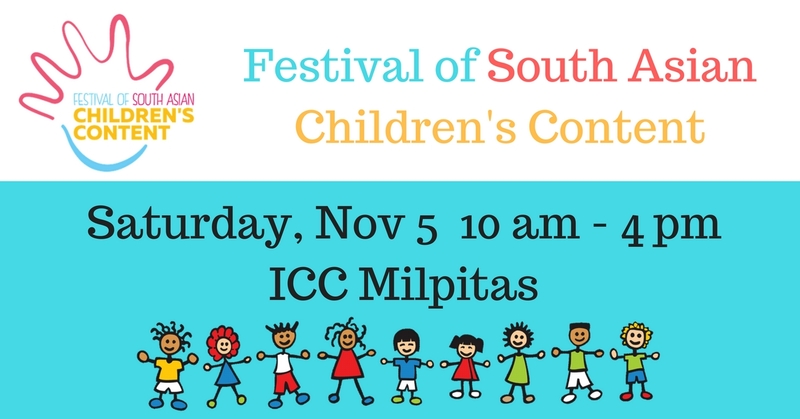 Join us to meet Authors Vidya Muralidhar, Pinky Mukhi, Sandhya Acharya, Ranjani, Pridhee Gupta, Kavita Bafna, Sridevi Krishnan, book vendors Usborne books and Kitaab world and our sponsors Brain-O-Magic, Drawn to Discover and Lekha Ink. Hi, I am looking for textbooks for Maths, Science, English and Social Studies for Common Core for Grades 4,5,6,7,8. Let me know if you have and are willing to either give away or sell them. 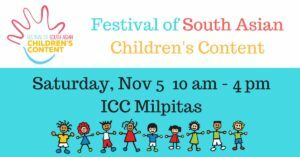 The Festival of South Asian Children’s Content will be a not-for-profit event held in the Bay Area (ICC Milpitas), California on Saturday, November 5th, 2016 from 10am – 4pm. 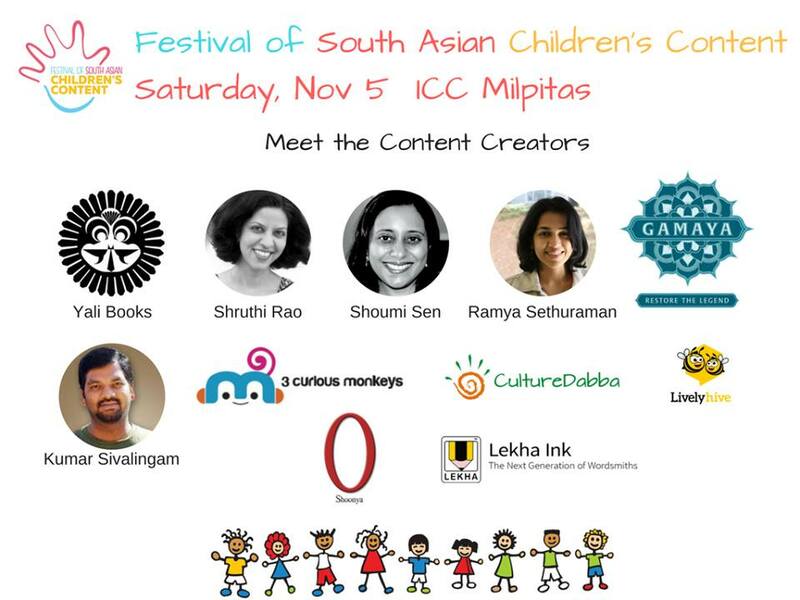 6 pm onward – Interactive Q&A Sessions with the content creators. Followed by a networking dinner. $20 off if all High School Books are Bought! $2 off if all Story Books are Bought! $20 off if all College Books are Bought! SAT, PSAT and AP Books in new condition – Starting from $5! Hey! Hope everybody is having a great start for school. Don’t forget SATs and PSATs are coming up very soon! Make sure you haveall the books that you need this year! I also have AP books to help you with your year! These books really helped me with my exams! These books are mostly brand new and I’m selling them for less than original! 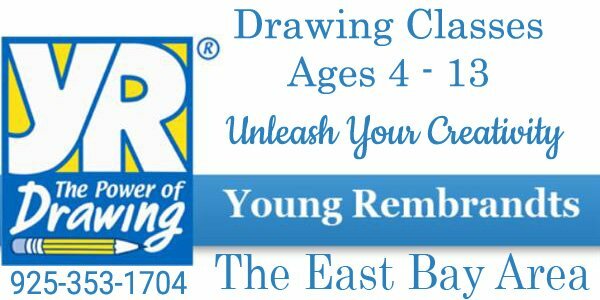 Email me at: raininghearts9…@g…com if you are interested! !